Objetive: To set picks and create confusion to have more options to shot and score. - The play’s starts out of 3-2-1. 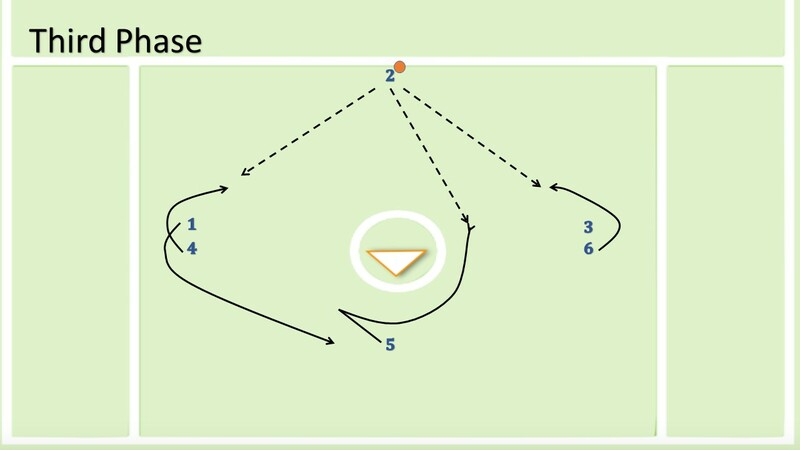 - Players 4, 5 and 6 represent the attack.